A letter to a daughter at university. Hi honey, I'm glad you're enjoying your first few weeks at university and I hope you've managed to unpack the 736 assorted boxes and bags you took with you. You're probably right, you never know when a shower caddy is going to come in handy. Or fairylights. Or a special holder for your collection of mascara. I really hope you're looking after yourself now and your head is on the mend. Just a thought sweetheart, but perhaps you would benefit from paying a bit more attention to your immediate surroundings and a little less attention to passing mechanics. Lampposts will be much more avoidable that way, as will spending the subsequent three hours in A&E. I'm sure he did have very nice arms, but I don't really care how nice his arms were. And of course, you won't always be known as That Girl Who Walked Into a Lamppost, people will forget. Eventually. Probably. On the bright side severe concussion gave you the chance to dry out for a few days. Though when the hospital doctor advised going 96 hours without alcohol, I'm sure he didn't mean exactly 96 hours. To the minute. 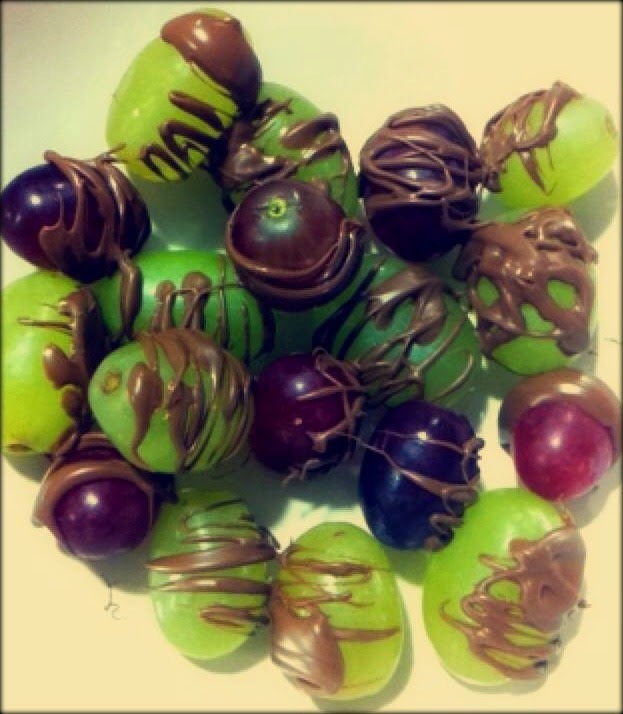 At least you're eating, though I'm not completely convinced a diet of Muller Rice, chocolate, grapes and grapes dipped in chocolate will meet your nutritional needs for long. Not everything explodes in a microwave I promise, it just must have been one of those things. I hope you managed to clean it up properly. Please try to be a little bit more careful with your money sweetheart. I know it looks like a lot when it first arrives in your bank account but it has to last quite a long time and I'm not sure Sainsburys will have Muller Rice on a two for one offer all term. The shoes are nice though, as are the dresses, all of them, and the new pyjamas. And the duvet cover. I'm not too sure about the coat though. Or that you really need any more mascaras and definitely not three more. In a week. Anyway honey, I'll sign off for now. You take care, we're all missing you very much. See you soon. This is a very touching story/letter yet I find it quite funny.. it's very well written. I bet your daughter misses you so much more than you do.